Saira, originally from the metropolitan area of the department of Guatemala, was selected as a GOJoven Fellow when she was 24 years old. 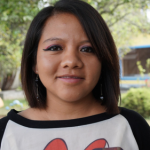 She is a primary education teacher and lives in the Llano Grande village of Huehuetenango. Of her four siblings, she is the only one who has continued her studies and plans to graduate. At the university level, she completed three years of a Professional Midwifery Technician with an intercultural approach, with diplomas in Breastfeeding and Homophobic Bullying. 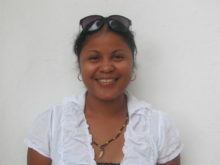 She is currently a fellow of the Guatemala Department of the GOJoven Association of Guatemala.